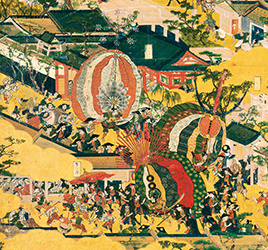 Kyoto is a fascinating city that welcomes many visitors from Japan and abroad each year. 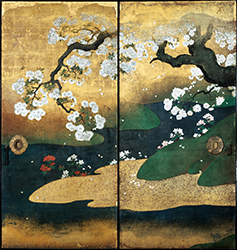 As the capital of Japan for many centuries until the 19th century, Kyoto has nurtured traditional cultures and continued them for generations, a factor which is greatly connected to the city’s allure. 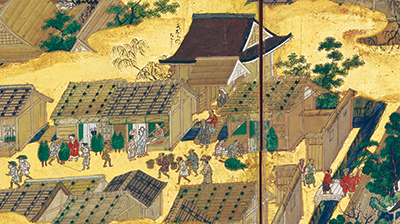 This exhibition invites visitors to experience a unique world of Kyoto aesthetics. 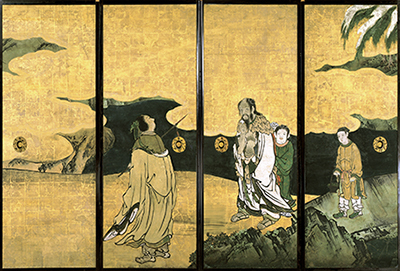 The displayed works focus on masterpieces of large-scale depictions of town life and seasonal views of the city known as Scenes in and around Kyoto, along with interior panel paintings that adorned three symbolic Kyoto locations: The Kyoto Imperial Palace, and Nijo Castle, and Ryoanji temple known for its rock garden. 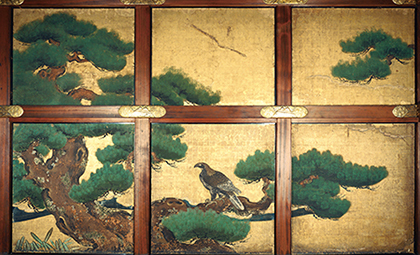 A particular highlight is the stunning display of a room of Nijo Castle, reproduced with spectacular panel paintings which have recently been restored. * Prices shown in ( ) indicate advance and group (more than 20 persons) discount tickets. * Persons with disabilities are admitted free with one accompanying person each. * Advance tickets will be sale at the Museum ticket office (during museum hours, 30 minutes before closing hour), JR East Reservation Ticket Office (Midori-no-madoguchi) and View Plaza at major stations, e-Ticket Pia (P-code:765-642), Lawson Ticket (L-code:33999), Seven Ticket (Seven code:023-048), E-Plus, Rakuten Tickets and other major ticketing agencies from Saturday, July 13, 2013 to Monday, October 7, 2013. * Advance pair tickets (two admissions, 2200yen) will be sale at the e-Ticket Pia (P-code:765-722), Lawson Ticket (L-code:33999), Seven Ticket (Seven code:023-048), E-Plus, Rakuten Tickets from Thursday, June 13, 2013 to Wednesday, July 31, 2013. With the Special Sponsorship of Tama Home Co., Ltd.
With the Sponsorship of Mitsumura Printing Co., Ltd., NIPPONKOA INSURANCE CO., LTD.
With the Technical Assistance of Canon Inc., Canon Marketing Japan Inc., JVC KENWOOD Corporation, TOPPAN PRINTING CO., LTD. 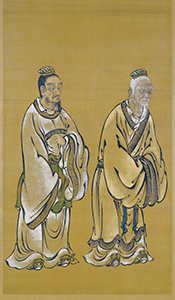 The website has closed with the end of the exhibition. 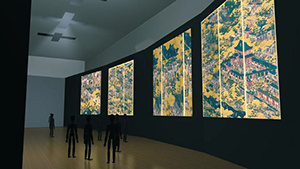 Screen Images Enlarged high-definition images of Scenes In and Around Kyoto (Funaki version) will be projected onto an extensive screen comprised of four 4-meter-square large screens. This will reveal most intricate details of the work. 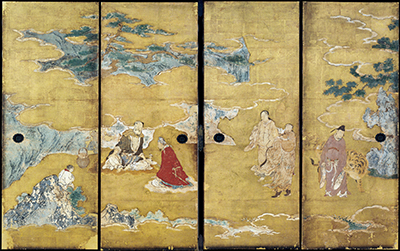 4K ultrahigh-definition images of Ryoanji temple’s Rock Garden, which was photographed throughout the year, will be projected onto an almost full-scale large screen that is approximately 16 meters wide. The changing seasons as observed in the nationally and internationally renowned garden can be experienced spatially through this technology.